I enjoy making convenience items at home in order to create healthy homemade meals for my family and to save money. I made a bulk Ranch Seasoning and a Chili Seasoning Mix a few months ago and they’ve been really convenient to have on hand. Plus, I don’t have to worry about running out of those little packets. I especially enjoy making different spice mixes because I use them frequently while freezer cooking. 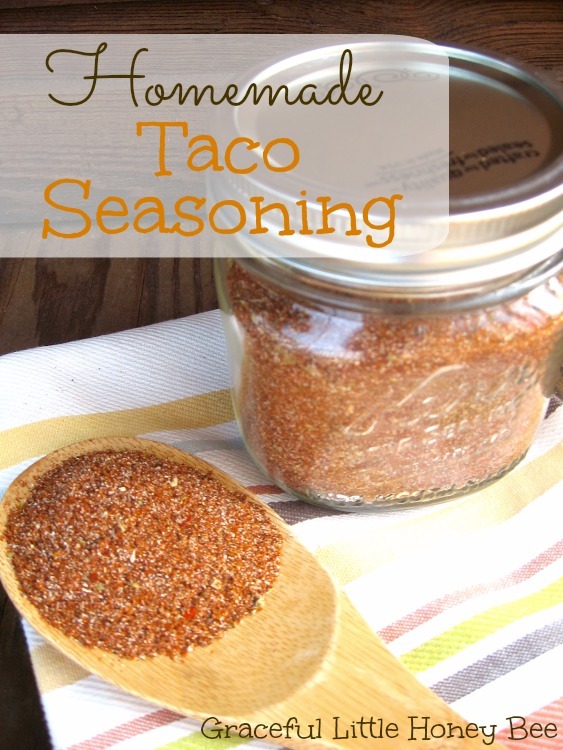 I love taco seasoning and use it frequently in recipes like my Creamy Chicken Taco Soup and Southwest Chicken Casserole, but those packets can really add up. Even if you shop at Aldi and buy them for .33 each you’re still better off to just pick of a few large spice bottles for $1 each and mix up a bulk batch of seasoning for yourself. You can customize this recipe to fit your tastes and use different chili powders, etc. if you want to be creative, but here is a basic mix that you’re sure to enjoy using nine common herbs and spices. Step 1: Mix all ingredients and store in airtight container. Have you tried making homemade spice mixes? What other convenience items do you make at home to save money? I’d love to know! I made a batch of this a while back, I just used it yesterday, it is so much better than the packages you buy, plus I know what's in it. A keeper for sure. Thank you. Hello Missy, Am am using last of the batch today and making a new batch in a few minutes. So happy to see the Aldi brand seasonings, I love them and they're so much cheaper. 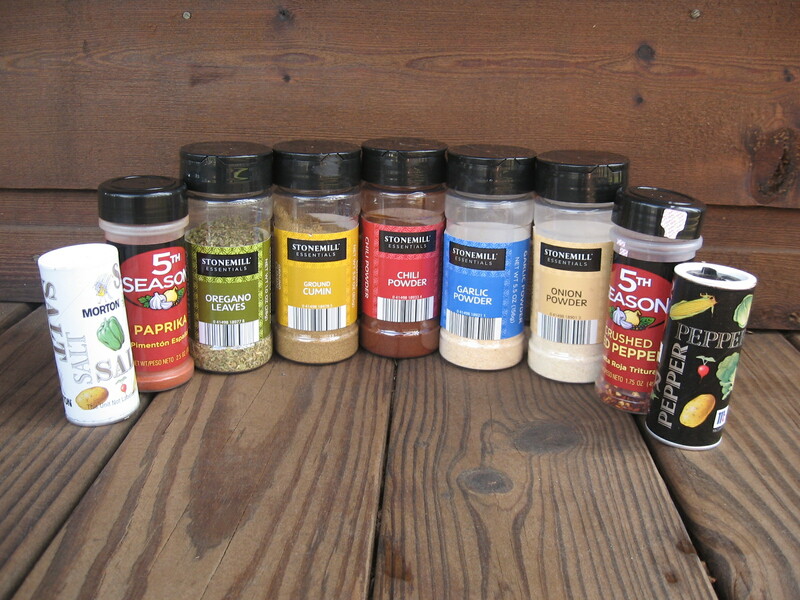 Can't wait to make all your homemade seasonings. Thanks! Thank you for your recipes, but even more for your faith in the Lord. I pray you are able to reach many who would not come to know Him any other way. Blessings, Your Sister In Christ, Georgeanna S.